Fully 18 months ago I gave an update on my famine project, which consists of two slim volumes. The first was A Purgatory of Misery and the second The Poor Law Inspector. In that post I indicated that the initial draft of the first, an entirely non-fictional account of the events in British and Irish history that led up to the famine, was complete and that I was then embarking on the second, a fictionalised account of the work of Captain Arthur Kennedy in West Clare between late 1847 and mid 1850. A Purgatory of Misery was published at the end of 2017 but work on The Poor Law Inspector stuttered on and off throughout last year. I finally reached the end last month and passed it to a first reader. At only 50,000 words it is a novella, rather than the full length novel I had hoped to create. That it is so short after such a long time is down to several factors, the main one being the difficulty of presenting the real horror of conditions in that place and time in a way that is not too depressing to read. Suggested cover – please tell me what you think. The opening chapters were posted to Chapter Buzz at the end of 2017. The book now has a new title, Called to Account, which relates to the fact that Kennedy and the man who came to be his arch rival were involved, in 1851, in a court case as a consequence of an insult delivered in public by Kennedy to the other, who then sued him for libel. I have now structured the book around the court case and Kennedy’s recollections of significant events in his life up to that point. Once again, it is being posted on Chapter Buzz whilst I work on revisions, including those suggested by my first reader. Follow this link to find it. Your comments and suggestions are most welcome. You can post them there or here. Meanwhile, Ian had taken “O” levels and was considering whether to attend college or continue his education in the school’s sixth form. I accompanied him at a meeting with a careers adviser at Grimsby College where we were told that universities give preference to students from school sixth forms over applicants from colleges of FE. Ian duly agreed to enter the school sixth form but it soon became clear that he was unhappy there. The school, too, were not best pleased by his evident lack of interest and they soon parted company. The next couple of years were difficult for him and us, as he struggled to find a suitable future path as well as with fraught relationships with young women. To be honest it was Freda who did the “heavy lifting” as I was preoccupied with Liberal Party affairs. Eventually he saw advertised a selection day for nurses at a large Psychiatric hospital in Lincoln and decided to attend. On his return he said he thought he had done okay, even in the ‘practical’ session on the wards for elderly mentally infirm patients. He wasn’t sure if it was something he wanted to do should he be offered the chance. In due course a letter arrived saying that he had been accepted; that the September intake, for which he had applied, was fully subscribed but that he could join the January intake. Meanwhile he could, if he wished, join the staff of the hospital as a nursing assistant. His decision to accept led indirectly to our decision, more than two decades later, to come to live in Ireland after my retirement. Also around this time, a drop in demand for Courtelle dictated a decision by the Board to close South Factory. I feared redundancy but was reprieved by being offered a post as Development Engineer, attached to a group of young graduates who were working on a number of innovations aimed at increasing productivity and quality of the Courtelle product, and exploring new markets. My role was to turn their ideas into practical working solutions. They were based in Coventry but seconded to Grimsby for the implementation of the programme. It ought to be obvious that, if 5% of everything you produce is sub-standard and has to be destroyed or, at best, sold at below cost, reducing that 5% to 3% or 2% represents a significant increase in over-all profitability. And, if the product can be enhanced, making it suitable for a high end use, it can be sold at a higher price. Those were the principals that we were applying. 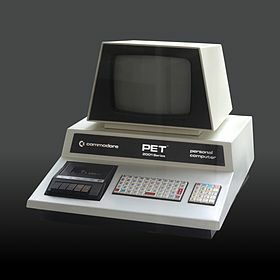 It probably seems archaic now, but some of the things we did involved introducing computerised control systems with software running on a Commodore Pet! Political activity continued to fill my waking hours outside of work, including working unpaid in the bar of the Cleethorpes Liberal Club and assisting with a redesign of the upstairs back room to turn it into a games room for younger members who were also encouraged to become involved in political campaigns. Nationally the Young Liberals had always been an important element within the Party. I persuaded Ian and his friends to put together a motion for submission to the annual party conference. At my prompting, they chose third world development as their theme. The motion was accepted by the conference committee and “composited” with several others. My first, and only, televised public speaking engagement was at the 1984 Liberal Party Conference where I spoke about the indebtedness of developing countries and the need for some level of debt forgiveness. The pattern of local elections in that part of the country at that time was as follows: in Grimsby one third of the councillors stood down in each of three successive years, in Cleethorpes the whole council was re-elected every four years as was the whole of the county council. Cleethorpes elections took place midway between county elections, which occurred on the year without a Grimsby council election. In case that’s difficult to follow: County Council elections took place in 1981, 1985 and 1989. Cleethorpes Borough Council elections in 1983 and 1987, Grimsby Borough Council elections occurred in 1982, 1983 and 1984, then again in 1986, 1987 and 1988. All local elections throughout the UK were, and still are, held on the first Thursday of May. Thus I, and other aspiring Cleethorpes politicians, were able to learn and practice campaigning skills by assisting at Grimsby Borough Council elections in 1982. We also travelled to places where Parliamentary by-elections were being held. Several of these occurred in the months following my having joined the Liberal Party. The first such election in which I went to assist was in November 1981 in Crosby, Liverpool, where Shirley Williams, a former Labour minister who had lost her seat in the 1979 general election, was standing for the Social Democrats. A month earlier the Liberals had taken a seat from the Tories in Croydon. I recall seeing Ms Williams waving to passers by from the back of a truck and being surprised by her small physical stature which in no way matched her charisma or her intellect. Glasgow was a bit too far to travel but the third success for the Liberal/SDP Alliance came in March 1982 when another former Labour Party minister, Roy Jenkins, won in the Hillhead constituency. I did travel to Birmingham Northfield, in October of 1982, and Darlington in March of 1983, although our candidates there failed to take those seats, both of which were won by Labour. I was not impressed by the style of the SDP candidate at Darlington, who I thought employed too much “razz-a-matazz” and not enough grass roots campaigning. Perhaps this was the first sign, for me, of a difference between Liberal and SDP methods. The latter, I suppose, being based on Labour Party traditional campaign techniques. Liberals, by contrast, had introduced something they called “Community Politics”, basically, being active in the community, seeking out issues and leading campaigns to persuade those in power to address them. In that way, individuals acquired a reputation which enabled them to garner votes when they stood for election to the local council. All this by-election activity, as well as helping get Liberals and SDP candidates into Parliament, also provided us with experience in campaigning in readiness for the Cleethorpes Borough Council election in May of 1983. By then we had selected a Liberal candidate to contest the Parliamentary seat. Originally from Nottingham, Gavin had worked in Grimsby as an operations manager with Ross Foods, one of several frozen food companies with facilities in Grimsby that process fish from Grimsby port and vegetables from the farms of Lincolnshire and neighbouring counties. During that time he had served a period as a Liberal councillor on Grimsby Borough Council. Because of this background he was the favourite of the Cleethorpes Liberal Party “hierachy” who head hunted him from his new post as an aide to the Chairman of Imperial Group at their London Head Office. Imperial, a company with investments in tobacco and brewing as well as food processing, had taken over Ross Foods some years before. Gavin was, at the time, engaged in investigating the person, or organisation, behind a series of recent significant share purchases which the Imperial board believed signalled an intention to launch a take-over bid. From the autumn of 1982 he returned to Cleethorpes on most weekends to help us with our campaigning. There was a great deal of speculation that a General Election would be called soon after the fourth anniversary of the Conservative landslide of 1979, to take advantage of the boost in support for the government following the successful Falklands military campaign. Sure enough, a few days after the Council elections in May, the election was called for early June. I was given the role of aide to the candidate and agent, the latter being the same lady that I had button-holed at the pubic meeting a couple of years before, in February 1981. Meanwhile I was one of the candidates fielded for the council election. Once again, I did not secure a seat, but collectively we achieved some success, increasing the number of Liberals on Cleethorpes BC. The General Election resulted in an increase in representation for the Conservatives in Parliament, the consequence of a split opposition. Nationally the “Alliance” received over 25% of the vote but only 23 seats. Although this was 12 more than previously, it was bitterly disappointing. How could a party gain seats while losing vote share? How could a party with 27.6% vote share end up with eight times as many seats as a party with 25.4% vote share? The answer lies in the “First Past the Post” election system used in the UK. Imagine a constituency with 3 candidates contesting the single seat available. With the votes split 42:30:28 there can be only one winner. It is only because of demographics that Labour won any seats, some constituencies being predominantly working class. In such elections a third party can come second everywhere and win no seats at all. On the other hand, the presence of a strong third party can adversely effect the relative positions of the two other parties, which is why the Labour Party lost seats to the Conservatives. In Parliament the Conservatives, now with a majority of over 140, were free to implement a raft of harsh policies based on the doctrine of “Reaganomics”, and did so. Early in 1981 a group of Labour MPs, led by four former ministers, left their party in order to establish a new one – the Social Democratic Party or SDP, a left of centre grouping. They were unable to support three of Labour’s then policies: unilateral nuclear disarmament, opposition to EU membership and “Clause 4”, the long term intention to achieve public (ie. State) ownership of “the means of production”. I had long been someone who supported a middle-of-the-road political outlook which, up to that point, meant voting Liberal. Enthused by this new development I wondered should I join the new centre-left party. I liked the policies that people like Roy Jenkins and Shirley Williams, in particular, had pursued in government. I suppose it was a sense of loyalty that drove me to stick with the Liberals, especially when the two parties agreed not to stand against each other in elections. It seemed that this could yield a change in fortunes for the Liberal Party. About the same time an international trade treaty called the Multi Fibre Agreement was being renegotiated and seemed likely to increase competition for Courtaulds from low-cost countries. Of course, Courtaulds had been indulging in potentially suicidal activities by selling, not only fibres, but the means to manufacture them, to China and the Soviet Union. So there was a certain amount of hypocrisy involved in the request to employees to write to their MPs seeking assurances of continued protection for home produced textiles. Nevertheless, I did so, and copied the letter to David Steel, then leader of the Liberal Party, with a request for information about joining. One morning the Works Engineer asked me if I’d heard back from our local Tory MP. He had, and the MP had mentioned a meeting due to take place that week to protest about plans for a new leisure centre to replace the swimming pool on Cleethorpes sea front. I attended the meeting and was pleased to see that the small group of Liberal Councilors were the most helpful, not offering support for the protestors, but explaining the benefits of the development, how it had come about and apologising for the fact that the council had not consulted or informed the people living close to the site. As the meeting broke up I buttoned-holed one of these councillors and asked about joining the Party. “We are heading up to the Liberal Club later. Do you know where it is? You could meet us there.” She went on to point out the Club’s location and suggested I wait in the bar until she arrived. That night I had a long conversation, almost an informal interview, with three leading members of the local party, as a result of which I not only joined the Party and the Club but became a volunteer in both. During the course of the conversation I was informed that the party was seeking suitable individuals to stand for election to the County Council in May of that year. There was a council by-election taking place in Grimsby at this time. Assistance from party members from outside the borough was always welcomed and I joined a few other Cleethorpes Liberals canvassing and distributing leaflets. It provided a valuable insight into campaign practices which I was able to put into practice in the County Council election the following May. I did not win on that occasion but my appetite for campaigning was certainly whetted! It was not long before I was elected as secretary to both the local and constituency parties. This was a time when there was a lot of negotiating to be done. Around the country Liberals were struggling to reach agreement with SDP officials on the question of which party contested the General Election, widely anticipated to take place in two years time. Fortunately, in the case of our constituency, there was no difficulty in agreeing that the SDP, who already had quite a strong following in Grimsby, would contest that constituency, and Cleethorpes, where there was a strong Liberal tradition, would be contested by a Liberal. The problem for us was that a recent re-drawing of constituency boundaries had created a difficult situation for Cleethorpes. In past elections the borough had been included in a constituency with a large rural hinterland to the south, centred on the market town of Louth. Now Cleethorpes had become the southern half of a constitency that included a rural hinterland to the north, centred on the market towns of Brigg, Barton and Barrow-upon-Humber. We had to get to know a whole new group of people – not that this proved on the whole to be difficult. Much harder to resolve was the question of party assets, especially the Liberal clubs. Louth Liberal Club had been allowed to run down and a team of Cleethorpes Liberals had, in the period before I joined, worked hard to get it re-established. They were not over-eager to see that asset lost. Cleethorpes also wanted to keep the Parliamentary candidate that had contested the previous general election. 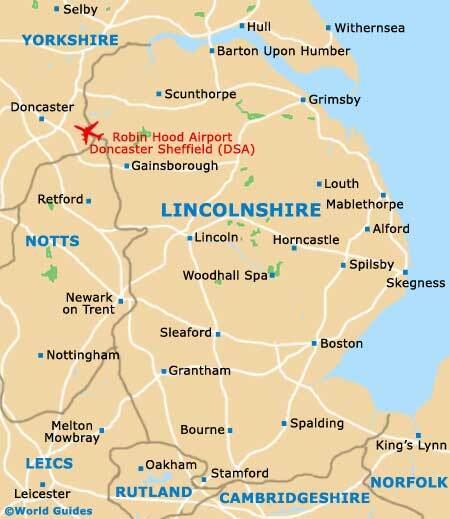 A resident of Louth, where he operated a wine importing business, he was reluctant and, despite repeated entreaties from leading Cleethorpes Liberals, he decided to stick with the new constituency that contained Louth. The newly formed Brigg and Cleethorpes constituency would have to find a new candidate. The new constituency also had to approve a constitution. So, as secretary, I found myself with a great deal of work recording the many meetings in which two groups of people with broadly similar aims about which they were passionate were nevertheless determined to ensure that their local demands were recognised. Make Them Happy, Make Them Sad, Make Them Stay. March 1, 2019 10:42 am / 2 Comments on Make Them Happy, Make Them Sad, Make Them Stay. Here is some great advice from Florida based author Dan Allatorre. The thing about Dan is that he is a writer who puts a lot of effort into helping other writers with his contests, his critiques and his anthologies. I’ve been fortunate enough to have been a runner up in one of his contests and to have had stories accepted for two anthologies. And then he posts blogs, like this one, that explain the “nuts and bolts” of our craft. More about my role in Courtaulds at Grimsby and our family life in Cleethorpes. The capital projects section carried out a range of projects from a few thousand pounds in value to several tens of thousands. The inception of a project would occur when one of the factory Engineers or Production Managers submitted a “pink form”. This would describe the proposed development, list the expected benefits including the financial savings expected to accrue. Actually, the process would have begun even before that with production teams being asked to prepare an annual “wish list” with ball park costings. From this a budget request would be submitted. The list would be pruned/prioritised to arrive at an approved budget for the year. The pink form would be passed to one of us Project Engineers. Generally the subject would have to have been included in the approved budget, unless it was something deemed to be urgent. In that case something would need to be removed from the budget to compensate. We would then discuss it with the originator to ensure we understood exactly what was in mind. If necessary we’d then get one of the contract draughtsmen who worked for us to do a preliminary design, we’d then obtain quotations from specialist contractors and/or specialist equipment suppliers, and discuss with our small team of craftsmen the number of labour hours required to carry out the work. With the likely cost of implementation thus arrived at, the pink form plus estimate would be submitted to the board. This was a time when interest rates were very high by present standards so the saving expected to accrue had to be sufficient to recover the cost in a pretty short time. If it failed, the pink form would be rejected. If the expected financial return was deemed satisfactory – or if the project was considered essential for health and/or safety reasons – it would be approved. The next stage would be to work up the design and estimate in more detail and submit a “voucher” request. Once approved, the “voucher” authorised the necessary expenditure. It now became the responsibility of the Project Engineer to oversee the execution of the work – purchasing equipment and materials, authorising labour and arranging with the Production team for access to the area of plant where the work was due to take place. Usually this would mean timing the work to happen on a day when a maintenance shut down was scheduled – sometimes on more than one such occasion. If the work ended up costing more than the estimate, the overspend had to be authorised and detailed explanations provided. The same applied to failure to meet the expected timetable. Both things meant that the expected financial return would not be realised. There was, sometimes, pressure to keep the estimate low in order to ensure approval, but that came with the risk of an over-spend. Meanwhile Freda and Ian settled into their new environment, Ian in school and Freda with a job as manager of a charity shop. Now long since renamed “Scope”, the Spastics Society had a chain of shops around the country that took in pre-owned clothing for re-sale in order to raise funds to support people with cerebral palsy and their families. Locally donated clothing was sent to a regional sorting centre to be redistributed. In this way potential customers would be unlikely to come across a garment that had once belonged to someone they knew. Ian joined the local scout group and his mother and I resumed our activities in support of the group. This included, in the autumn of 1980, the Lyke Wake Walk. A forty mile long trek across the North Yorkshire Moors, from the village of Osmotherly to the coast at Robin Hood Bay, this was accomplished in 20 hours, commencing at 10pm on a Friday night. The walkers, myself included, stopped for food and a rest at around 6am. This is where Freda had an important role: accompanied by a couple of other mothers she travelled by road to the camp site where they set up a field kitchen to cook a “full English” breakfast. 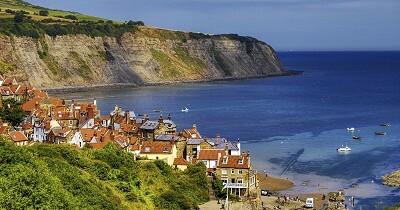 We walkers set off again at about 9am, reaching Robin Hoods Bay at 6pm. The first part, though mostly up hill, had been largely through woodland. After the break we were on the moors proper, an area of raised peat bog which sucked one’s boots into a substance resembling treacle, necessitating many detours onto firmer ground not previously trodden by the many walkers that accepted the challenge to complete the walk. The “Mums” had set up camp in a field overlooking the town of Robin Hoods Bay and the North Sea where we once again enjoyed a hearty meal before a night’s sleep in tents. I’m sure there were visits to public houses at each end of the walk as well! The journey from Cleethorpes to Osmotherly on Friday, and return from Robin Hoods Bay on Sunday, was accomplished by coach. Not long afterwards I learned about a small group of volunteers planning to start a talking newspaper for visually impaired people in the district and decided to offer my expertise gained with Coventry Community Broadcasting Service. Naturally they were in urgent need of funds so I volunteered to undertake a sponsored walk. This I did, from Immingham to Louth, a distance of some 20 miles, in the summer of 1981. By which time I was becoming increasingly involved in local politics. Coming next week – a group of MPs resign from their party and I embark on a decade of political activism.